JEEP SHOW! Saturday: November 14th! 11:00AM-4:00PM! 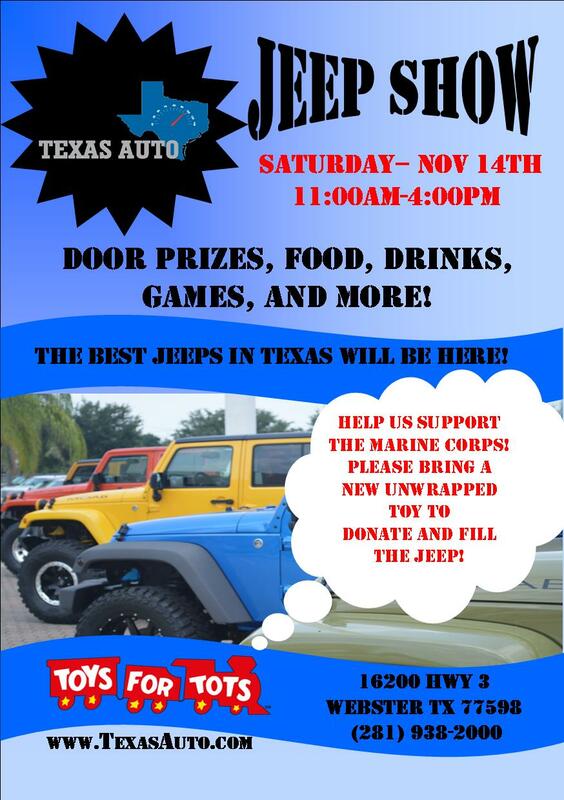 Toys for Tots!